Two of the seven waterfalls were the most accessible while the others have yet to have access trails. 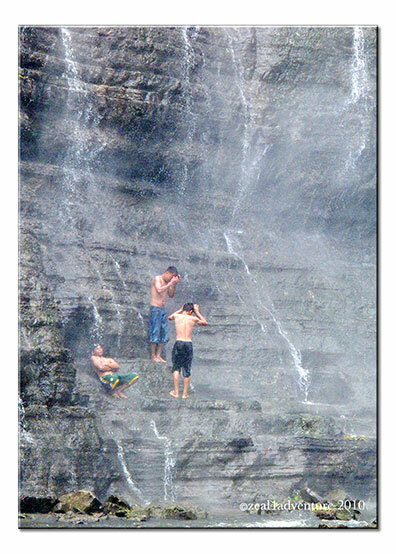 Developed a few years ago through the funding of the local government with help from New Zealand, Hikong Alu (falls #1) and Hikong Bente (falls #2) today only requires about 30 minutes of walk – although I do not remember it to be a strenuous hike 10 years ago. 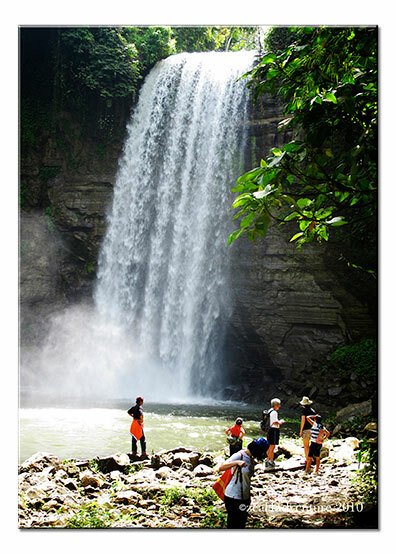 Often dubbed as the “Summer Capital” of Southern Philippines, the development of the seven waterfalls is part of a bigger plan to capitalize on the tourism potentials of Lake Sebu and to turn it into a major destination in Central Mindanao – not exactly the most popular in terms of tourism due to the poor press releases of its neighboring provinces and the mere fact that it is in Mindanao scares off a lot of tourists, foreign and locals alike. So the efforts of the local government to focus on its beauty are commendable. 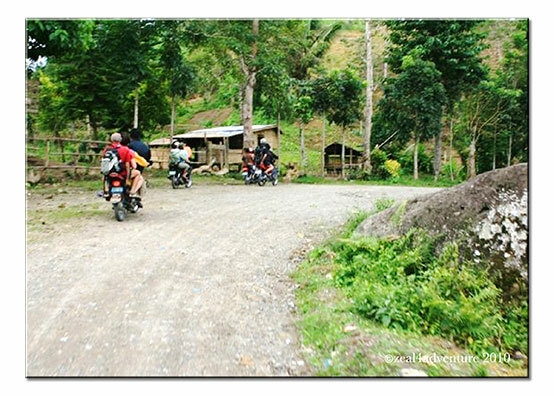 The only means of public transport around Lake Sebu is through motorcycles or what they call habal-habals. 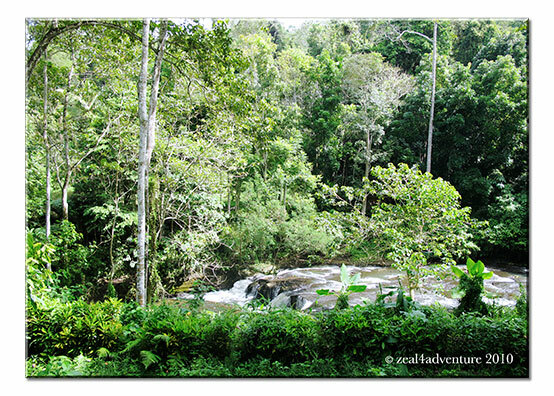 From our longhouse, it took us 15 minutes perhaps to arrive at what looked like an entrance to a park. P20 was all that’s needed to enter. The focus of the development was mainly on road development and the establishments of resort facilities. Save for the inner roads, it was a pretty smooth haba-habal ride along the main highway. 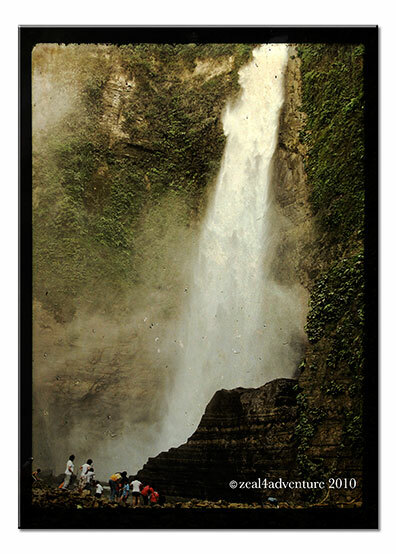 A short walk from the entrance is Hikong Alu, the first falls cascading down the jagged landscape of the lush forest of Lake Sebu. 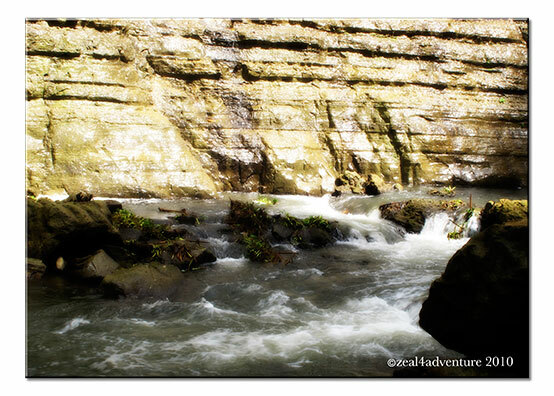 A trail on the right leads to a natural pool where one can enjoy the beauty up close. 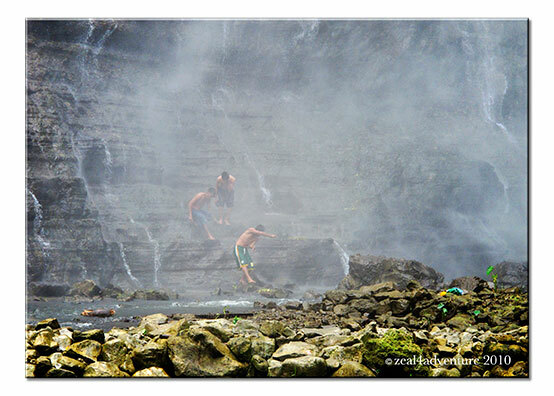 There are two options to get to the 2nd falls, Hikong Bente. One can choose to zip down through a recently developed zipline. The queue was long so we chose to walk. The walk through the verdant forest is made easy with the stoned steps established. 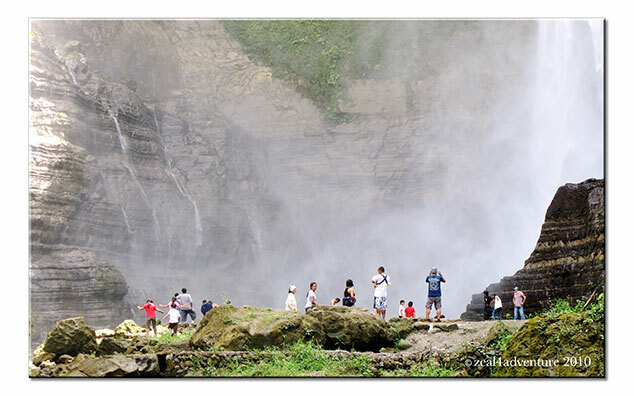 What greeted us was a grander falls with powerful cascading water that leaves a misty atmosphere. Apparently the largest of the seven. One could either swim or do as I did – simply admire the beauty that surrounds. Wow, what a beautiful area! Your photographs catch it perfectly. 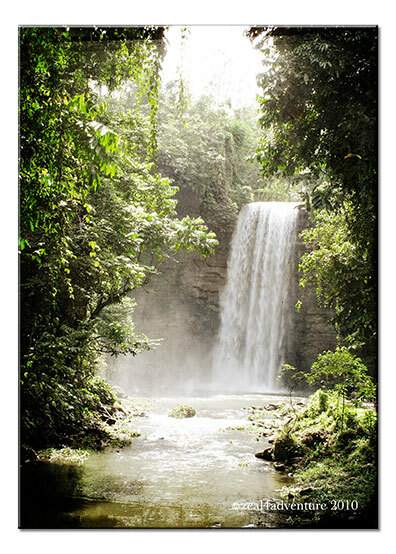 These are awesome pictures of the waterfalls!!! wow naman. 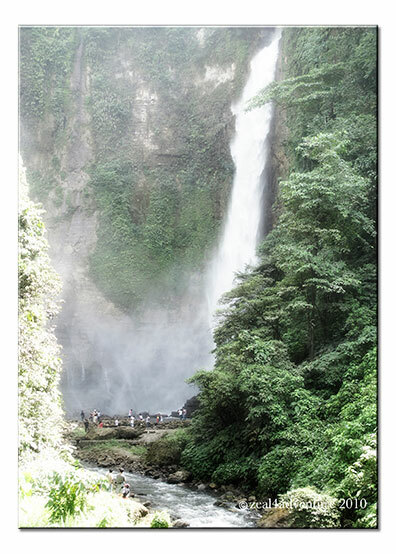 i have only seen dongon falls or falls no. 1 due to time constraints. i definitely would love to see the other falls too. awesome shots. Incredible! Indrani is right, they are mesmerizing! I do love waterfalls and these are so gorgeous! Thanks for sharing the beauty! Have a great week! Stunning photos of the waterfall…just stunning 🙂 Thank you for sharing the beauty. Wonderful set of photos. What a great waterfall! I could definitely spend some time exploring around there , looks like my kinda fun! What a magnificent set of pictures! waterfalls are stunning!! I could feel the gushing waters in your photos. Great captures. When you get to return to the 7 Falls, you may want to try out the developed trail that will lead you to all the other cascades (Falls No. 4-7). Really? 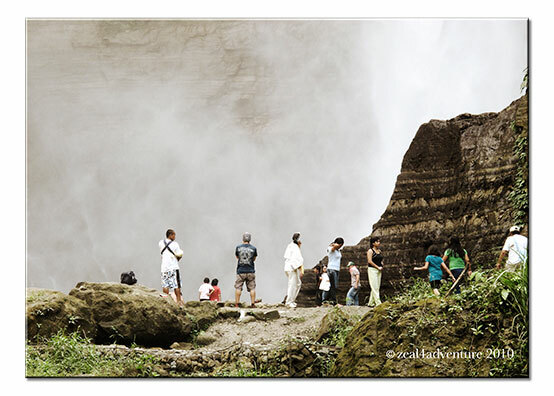 Wow, we were just there last December, parang wala pa yung trail or we perhaps were not informed of it. Well… another reason to return. 🙂 Thanks!